Need a new boiler in Aberlour? Get FREE no-obligation quotes now! Scottish Gas Winter boiler offer now on! Gas Safe accredited boiler installer based in Clydebank. Small business established 1995 offering a personal and friendly service which includes all aspects of plumbing, bathroom refitting (all trades supplied). Our Worcester Approved Installers specialise in Boiler Installations...contact us today for a quote. Mollison HPR are Gas Safe accredited and based in Dundee. 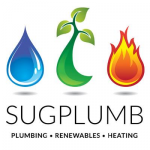 We are a local plumbing and heating company based in South Lanarkshire. Current Fuel: Gas mains Current Boiler: Baxi Age 17 yrs old, Located in the bedroom Keep in the same place. Flue position: wall Timescale ASAP. Contact anytime. Current Boiler: Sime. Over 14 years old and not working. Located in the bedroom, keep in the same place. Flue postion: wall. Replace: ASAP. Contact: anytime. Boiler Service and, if necessary, repair. Current Fuel: gas mains Current Boiler: Alpha CD50s Age9 Yrs. Located in the utility room. Keep in the same place. Timescale ASAP. Contact anytime. Service of a gas boiler. Within 1 month. Contact: mornings. Replacement of vented hot water cylinder in airing cupboard. Couple copper pipes leaking.